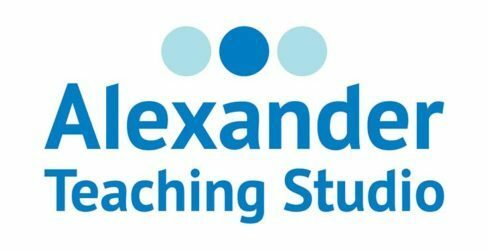 One of the skills that you learn when you study the Alexander Technique is the skill of Inhibition. If Inhibition sounds like a big topic that will be hard to master, don’t worry. It isn’t. The fact is you already know how to Inhibit. When you Inhibit in an Alexander sense you choose not to do something specific that is getting in the way—and negatively impacting you. I taught a group class recently at a local Community Education program here in St. Paul. Through some games, I introduced the students to the concept of Inhibition. On the last day of class one of the students came up to me to relate a story. This past summer he had started getting winded whenever he ran up the stairs. He was concerned. He was in good shape. It seemed strange that this one activity was causing him problems. Then he realized one day that he had gotten into the habit of holding his breath when he ran up the stairs. Who knows why he started to hold his breath. The important thing was he noticed it and was able to choose not to hold his breath. He realized that this was a perfect example of Inhibition—of choosing not to do something that was getting in his way—and negatively impacting him. So he already knew how to Inhibit. He just wasn’t labeling it so. And in the class he was just learning to apply the skill of Inhibition to his posture and movement. I have a student who is a computer programmer. He has issues with his left hip. When he is particularly focused on doing a lot of coding, he tends to tighten around the left hip and it affects his lower back. It can be quite troublesome. As he has become more curious about how he does what he does, he has begun to notice a connection between coding and tightening that left hip. Especially, when he is really focused and doing a lot of coding. He has been exploring not tightening his left hip as he types and surprise surprise he feels better. So he is practicing what he doesn’t want to do as he programs. And this is another great example of Inhibition—of choosing not to do something that was getting in his way—and negatively impacting him. This is a complete turnaround for a lot of us. Focus on what not to do? We are a culture of Just Do It. The More the Better. Alexander Technique teaches you another way to approach things is to Just NOT Do It. Less is More. So what if you went through your day consciously deciding what you are not going to do, instead of what you are going to do? Really love this post, Lauren. You’ve given a very clear and simple definition of inhibition, and how it is useful in our lives. Thanks you. Thanks Imogen. One of my ongoing goals with this blog is to keep explanations simple, clear and understandable. As always, I enjoy reading your blog. I connect with how you frame AT principles, and can envision the people you give as examples. Hi Gaby. I am glad you continue to enjoy reading the blog. I will be in Chicago at the International Congress and look forward to seeing you there. Previous PostPrevious What If You Focused On What Not To Do?